"The Exos 58 is deservedly one of the most popular thru-hiking packs ever. Nothing matches their carrying comfort, and as the days and miles pass, you'll always look forward to shouldering the load. 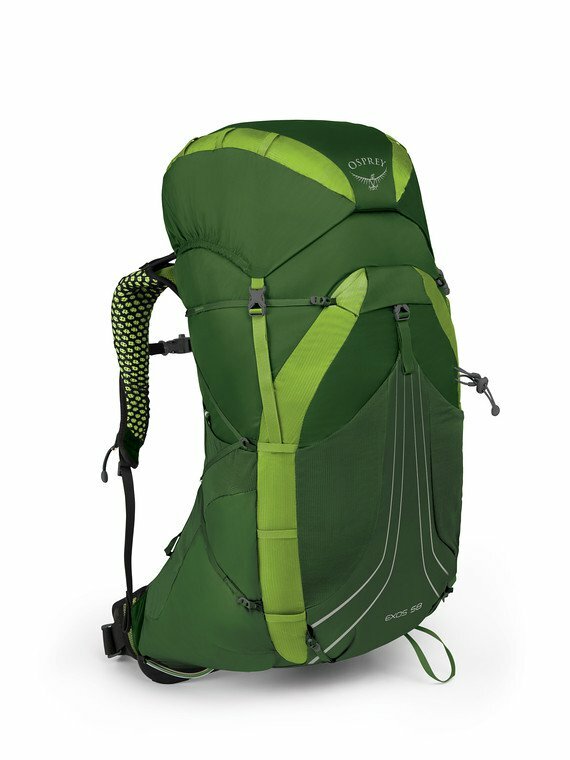 AirSpeed 3-D tensioned mesh backpanel keeps sweat down, strippable features satisfy the ounce-counters, and convenient features like Stow-on-the-Go trekking pole carry make ultralight backpacking ultraconvenient. Our All Mighty Guarantee means you can rest assured we've got you covered if anything happens on the trail. Stripped weight - 2.33lbs, 1.06kg. trip the removable floating lid and replace with the fixedFlapJacket to protect your gear from the elements and minimize weight. Seamless layered mesh provides improved comfort and cushioning"